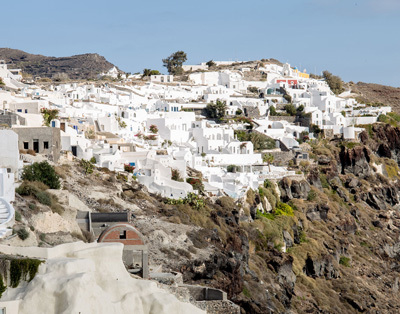 Lava Oia's offers Cycladic accommodation with equipped kitchenettes and panoramic views to the volcano and the Aegean Sea. It is situated on the famous Santorini Caldera. WiFi is offered in all areas. Each unit features whitewashed walls, beamed ceilings and a living area with tasteful furniture from the owner’s private collection. The furnished balconies face the southeast. 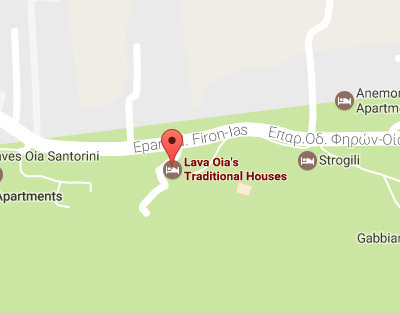 The Lava is just steps from the main car road, and a 2-minute walk from Oia’s centre, and its elegant restaurants and bars. It is 18 km from Santorini International Airport, and 20 km from Athinios Port. Shuttle service from and to the airport or the port can be arranged upon charge.